dragonmisstres - "I'm a walking contradiction"
DragonMisstres has been a member of the IMVU communitiy for over 2 years now. She is enrolled in high school where she majors in 2D Art & Film. 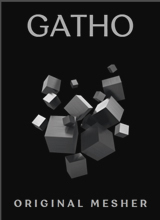 Her catalog incorporates styles from a variety of fashion trends. She also enjoys developing restricted products and is known to use "less area to texture" as an excuse. When she isn't staying up till four in the morning trying to submit something during her rare three-day weekends, she's usually found reading or playing video games. evilestine - "Live your life to the max, If not you are just wasting it"
guitarland - "Musical instruments, AP and GA furniture, Original Music and 3D Designs"
A professional musician with a Degree in Arts as “maestro d’arte? Had his first encounter with music when he was 16 years old; this further developed into his playing the guitar. He has spent the last thirteen years playing music at live gigs around Italy. Not only does he sing, compose, arrange and record his own creations; he also plays the guitar, electric bass and keyboards. 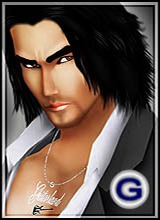 He joined IMVU in 2006 and soon became interested in the developing side of things and started making his own 3D creations. 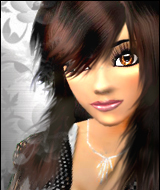 iceviv - "Never give up"
Joined IMVU since Aug 2006 and began to develop products a year later. She is keen to learn and enjoys the process of developing products. Hopes to learn how to mesh one day to continuously produce better products.